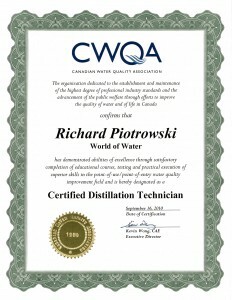 All of our work is done by a Water Treatment Specialist. 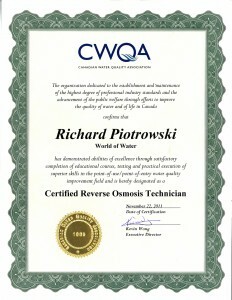 We offer the only certified Canadian Water Quality Association Technician in Northwest Ontario and Manitoba. 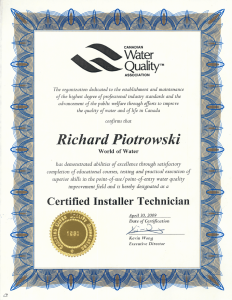 We use these Qualifications to guarantee you the best possible service at a very competitive price. Guaranteed Service with Guaranteed Results! 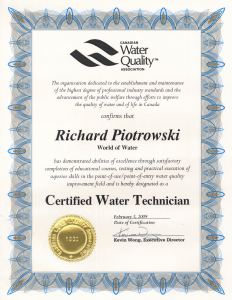 Contact us for information or a free quote on our water purification and filtration services, or for more information about our products and services.